Today we’ll pick you up from Cancun airport and transfer you to your hotel – preferably down the coast from Cancun, near Playa del Carmen or Tulum. Or if you’re flying through Mexico City, we can add-on a flight from there to Cancun. 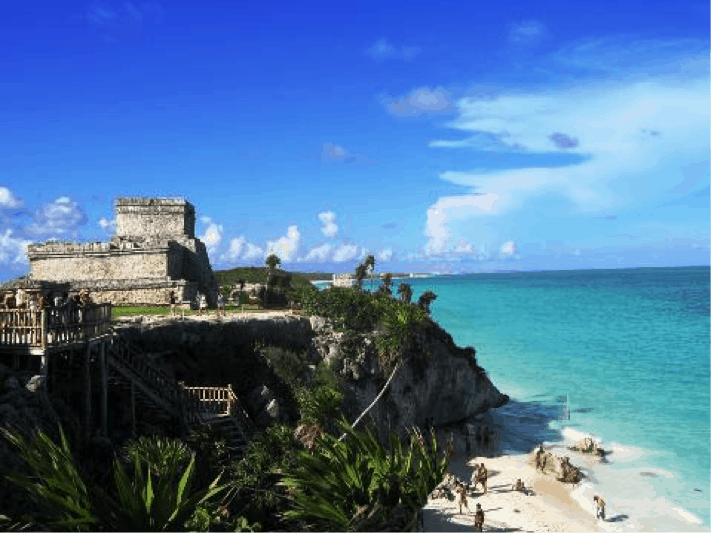 You will have this day open to just rest and relax at your hotel by the beach or you can add-on a snorkeling trip and/or visit the nearby ruins of Tulum, in its own spectacular setting overlooking the Caribbean. 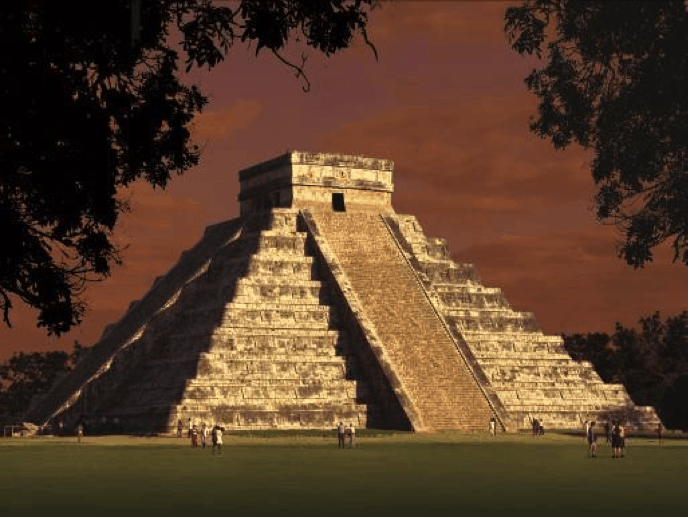 Day 3: Private Tour – Chichen Itza! Today we will bring you on a full-day private tour of one of Mexico’s historic and cultural jewels and one of the seven modern man-made wonders of the world – Chichen Itza. 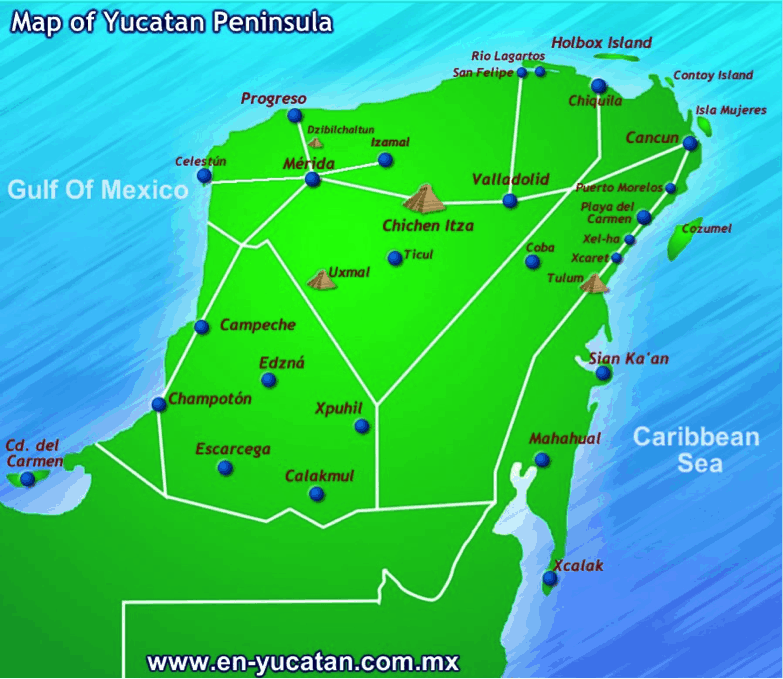 Located only a couple hours inside the Yucatan peninsula from the coast, you will have a guided tour around perhaps the most important Mayan ruin on the continent … and not stuck in a big group!. Along the way you will have time for some local shopping and the chance to have a dip in one of the limestone peninsula’s famous cenotes (optional). Today we will bring you to the airport for your flights to Lima, Peru. You will simply stay at the airport hotel, conveniently connected to the airport. 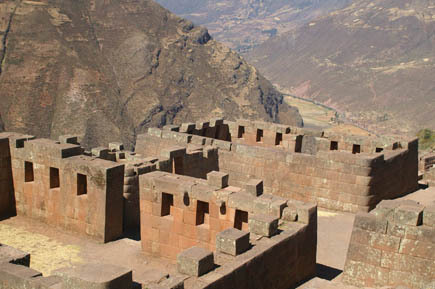 Today you will fly to Cusco and be transported to the Sacred Valley and your hotel there. The Sacred Valley is at a significantly lower altitude than Cusco, so this will assist with acclimatization. Today we will bring you on a small group tour of the Sacred Valley of the Incas, where among other things you will visit the Pisac Markets (one of largest and most famous in the country) and the amazing ruins, town and setting of Ollantaytambo. Day 7: Private Tour – Machu Picchu! Today you will take your train from the Sacred Valley to the town of Aguas Calientes and from there a short bus ride up to the Historical Sanctuary of Machu Picchu. There you will have a private guided tour across this incredible World Wonder, looking-out into to cloud forests, and again … not stuck in a big group! Then we will bring you back to the train station for your train back to Cusco and then to your hotel there. After lunch alongside the Urubamba River, your tour ends in Ollantaytambo, a pretty village laid out in the traditional Incan format and dominated by an Inca fortress on the hills above the village. 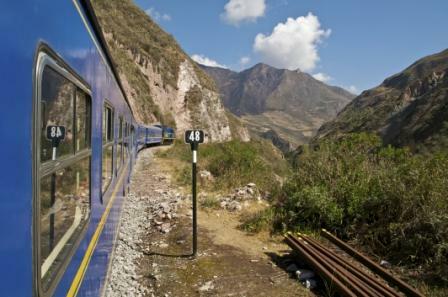 Overnight here so you can easily take the train to Machu Picchu the next day. Hopefully you will have the morning free to explore a bit of Cusco (depending on your flight home) – or we can add-on a tour – then we will bring you to the airport for your flights to Lima and onwards home … an unforgettable trip! If you have more time, with additional days you can perhaps see more of Cusco, have a second day at Machu Picchu and/or see more of the Yucatan peninsula. It’s all up to you!